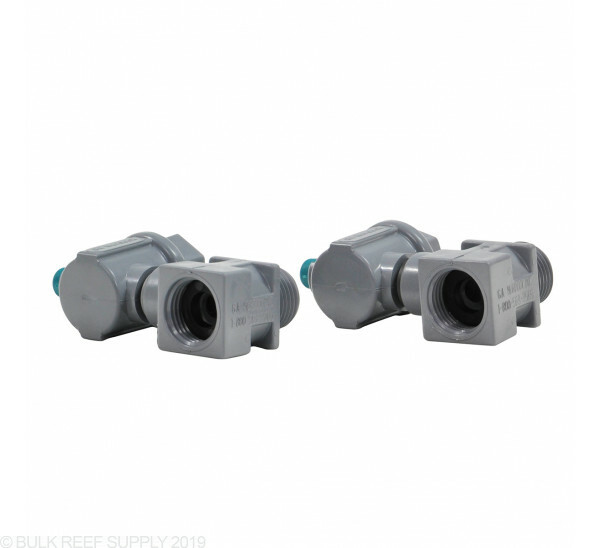 The Mur-Lok EZ Faucet Adapter kit allows you to install a shut off feed valve while being able to swivel the output any direction needed if space is tight. 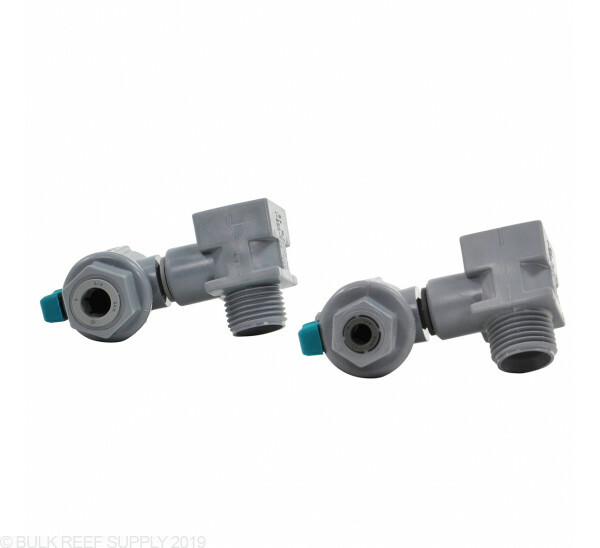 This Mur-lok Faucet Adapter Kit is one of the most convenient ways to connect an RO unit to the household water supply. It installs under the sink inline between faucet and supply line. This clean, out of the way installation leaves faucets free for other uses. Turning water off to the RO unit for maintenance is as easy as closing the ball valve. Mur-Lok Faucet Adapter Kit 3/8"
Mur-Lok Faucet Adapter Kit 1/4"
It is designed to attach to a standard faucet on the cold water side. 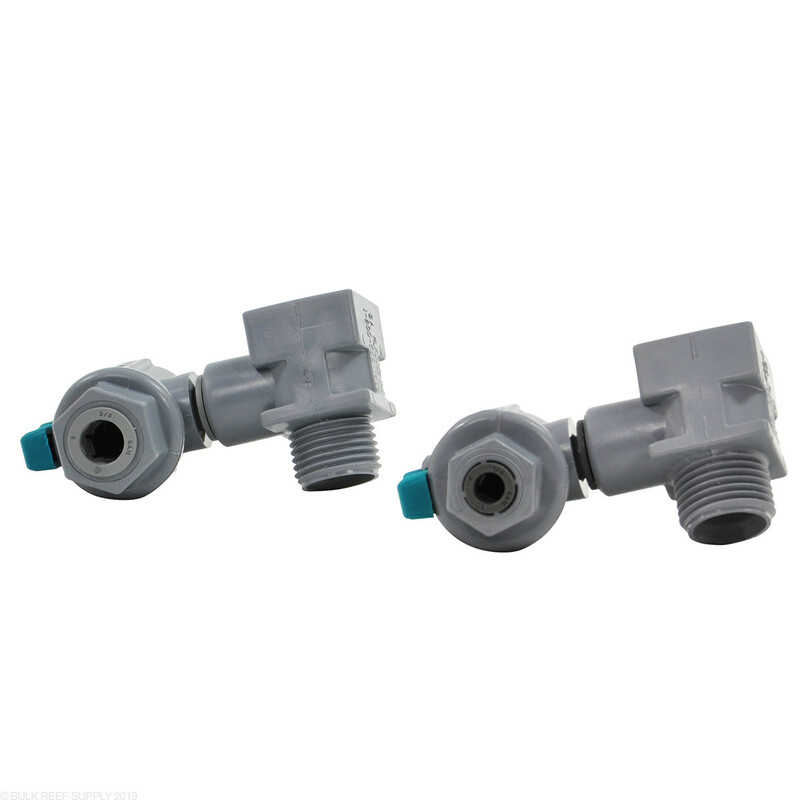 Simply unscrew the water line from the faucet, screw this adapter onto the faucet then reattach the water line to the adapter. 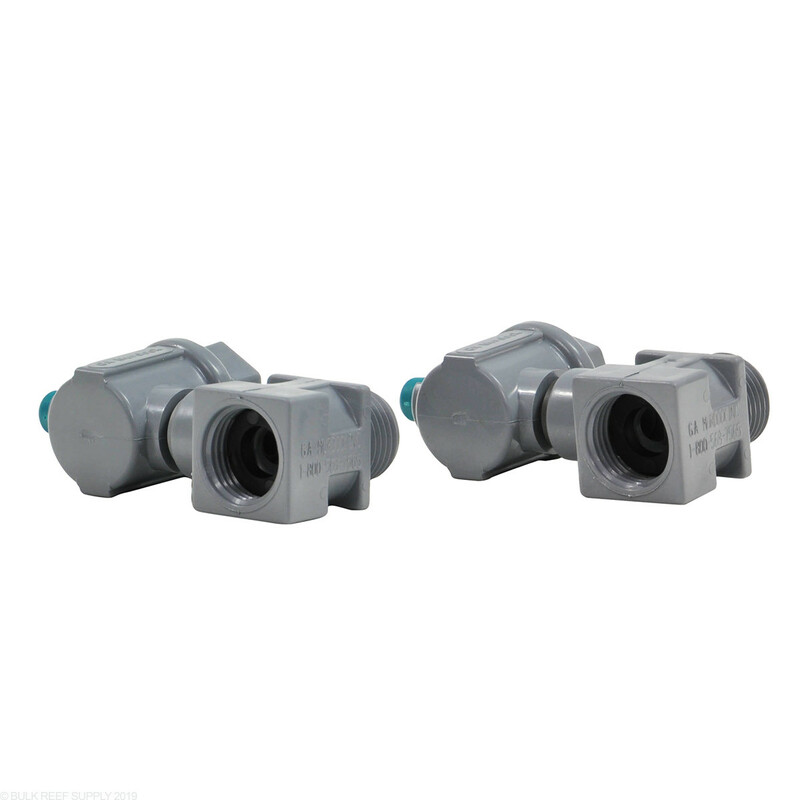 One of the reviews was confusing and indicated it attaches to the shutoff valve. Shutoff valves are not standard and you will only be able to do this if your valve has a 1/2 inch threaded outlet. Most faucets are standardized and use the same thread as this adapter. Unless you have a very old faucet it will work easy for you. Been out of the game for several years and back then these didn't exist or I had never found them, but I love this thing. Was super easy to install ~5 minutes. Compact and Mur-Lok so you know you can trust it. If you can use this to get your source water... you should. Easy install, so convenient. Wish I bought this sooner. Bought this adapter to hookup my RO/DI under the sink. After a little head scratching and wiggling around under there I got it figured out. It works great and is easy to use. This piece is exactly what I needed to put my BRS 75 gpd ro/di unit in the cabinet under the sink. I found the threads to be very soft and it would be very easy to cross-thread either end of this, I almost did. Also, in my opinion, the wording in the description could be misleading. This mounts BETWEEN where the water line comes in, just BEFORE the shutoff valve. It is a 1/2" male at one end and 1/2" female at the other. Do yourself a big favor and check out your plumbing to make sure it will all work with your setup. If it weren't for the soft threads I would give this a solid 5 star rating.